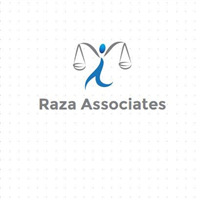 “Raza & Associates”, (R&A) is an intellectual property and corporate law firm based in Pakistan and presence in the USA, UK, Singapore, Australia, Saudi Arabia and UAE. The firm is highly regarded for its litigation practices. We feel proud by taking the responsibility of all the Matters related to Intellectual Property of your reputed organization (i.e Registration of trademark copyrights, designs) and being a leading law firm we are able to handle subject matters more efficiently and effectively, because we are in same practices since last 15 years and have good reputation in Market. Please visit www.raza-associates.com for more information.